You can remember, can’t you Readers, when words hurt more than sticks and stones? Even now, I bet you can feel the pain, the sorrow, the regret. When did we last pause long enough to choose words that mattered? When did I? I have decided. I am sorry. I forgive you. Thin places, those Spirit-filled places, appear when thought-full words, hope-full words, peace-full words are extended as olive branches. As a preschooler, my mother would create flashcards for me to practice. 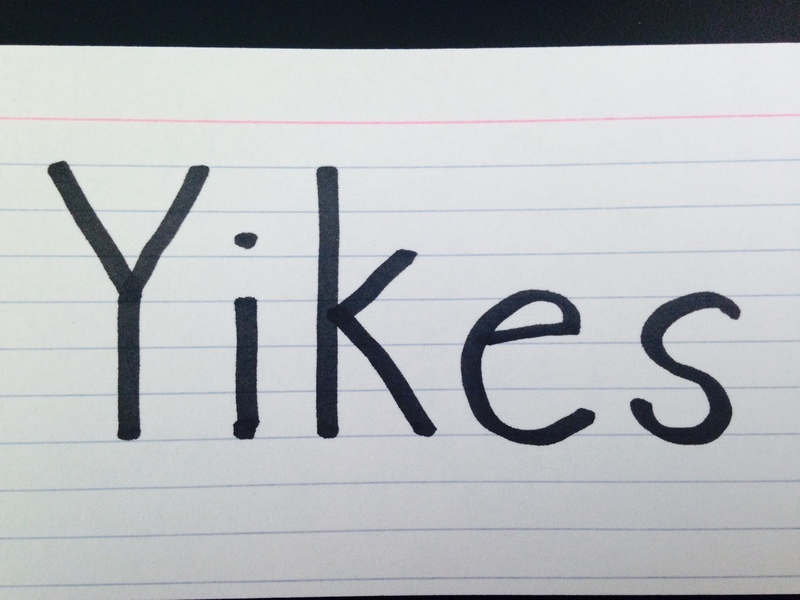 “Yikes” was my all-time favorite word as a child. What was yours? Thin places, those Spirit-filled places, appear when thought-full words, hope-full words, peace-full words are extended as olive branches. – Such a powerful line. My favorite word was and still is AMAZING.